Snow and Ice Management Experts since 1996! Spartan Lawn Care, Inc. provides prompt snow and ice removal for businesses and homes in the Greater Lansing Area. We have a team that is assigned to your neighborhood! If you need priority service, just let us know. Many of our clients are doctors and other professionals that need to have their driveways cleared of a snow and ice, so they can quickly come and go when needed. Driveways, parking areas, access roads, walkways, and entrances get immediate and frequent attention throughout snow emergencies. We have one of this areas largest assembly of snow removal equipment, manpower, and training. We have professionals that manage your account 24 hours a day, 7 days per week, during snow season. Residential and Commercial Snow Removal Services. Give us a call for a free estimate and ask about our current Spartan Specials. 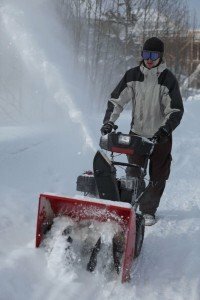 Our snow removal equipment surpasses almost any other snow service in Mid-Michigan. We are equipped to deploy dozens of pieces of equipment and plenty of people power to help manage any snow event. We utilize the latest state of the art equipment for providing the most efficient service possible. 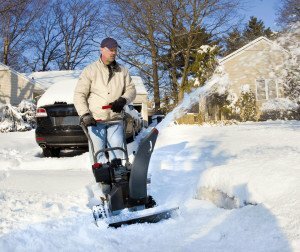 If you’re looking for a service that cares about your property and gives you the extra attention that you deserve, then contact us at Executive Property Services, Inc.
Our snow removal services are affordable, low impact, and typically accomplished by shovel and snow blower. If larger equipment is necessary (such as our nimble, residential-sized skid-loader) our goal remains the same; remove your snow, not your lawn! 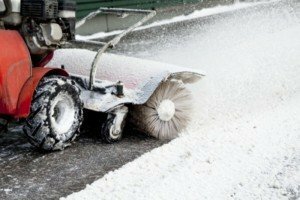 At Spartan Lawn Care, we understand the need for consistent and complete snow removal. As you know, we spend about nine months out of the year caring for your bushes, trees, shrubs and lawns. We are going to continue that great care throughout the winter. We have seen the damage plows can do to your grass, asphalt and cement. We have also seen the damage that snow removal from the street – containing road chemicals and other solvents – can also damage your property, yard and shrubs. You can trust Spartan Lawn Care to take great care of your property!